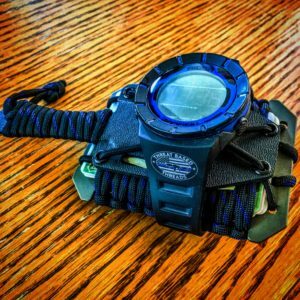 Our NEW Tactisling Go Bag!! I have been working on putting a #gobag together for a while now, and NOW it’s HERE!!! At last years #msstc there were 2 members from the San Bernardino SWAT team who came to do a presentation on their debrief from the #activeshooter they had in 2015. One of the things they brought up was Go Bags. They said there were multiple on and off duty officers that were in the area of the shooters but they couldn’t respond and assist because they didn’t have a combination of or any of the following: their firearms, extra ammo, handcuffs, police identification and ballistic protection. 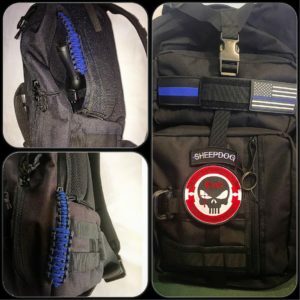 They said if every officer had a Go Bag, with those essentials they, could assist in an active shooter and possibly stop innocents from being injured, or worse, killed. 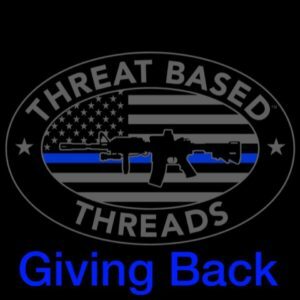 This motivated me even more to make a bag available for all of my Blue Line family members. Although it doesn’t have everything I want, YET, it’s still something we all need. I keep mine with me while on duty, and always off duty. For more information click the link in our bio. Blue Line Family, we need your help again! North Las Vegas Police Detective Chad Parque died Jan. 7th from injuries sustained the previous day when his vehicle was struck head on by another vehicle. 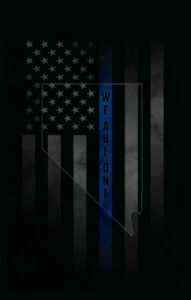 We now have the Nevada “We Are One” T-shirt available for Pre-Order in Mens & Womens! We will be donating 100% of the proceeds to his family. Help us #giveback and order Today!!! Also, help us spread the word by sharing our posts from our Instagram and Facebook pages. Thank you all so much for helping us to GIVE BACK!! We had great support for our “We Are One” Iowa and Utah shirts. We are finalizing getting all orders sent and we will have an update soon on how much was raised for each! Thank you again and remember we donate a portion from of all of our items! Help for Iowa and Utah! ‼️Attention‼️ Blue Family. We still need your help, now more than ever. We lost another officer this morning, this time it was close to home, here in Utah. We now have the Utah “We Are One” T-shirt available to order in addition to the Iowa one. 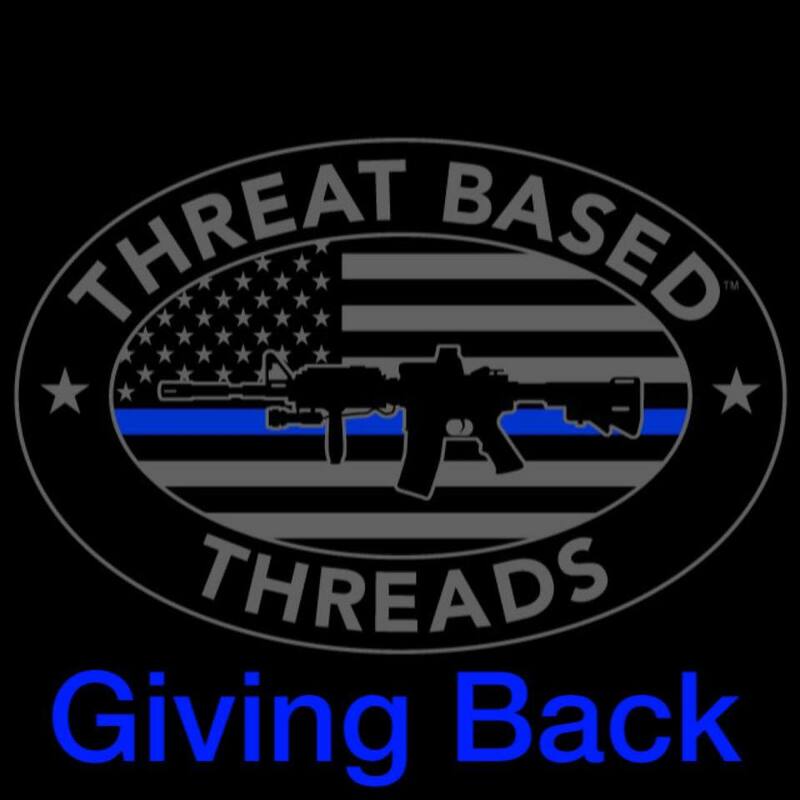 We will be donating 100% of the proceeds to the families of the fallen officers in both Utah and Iowa. So far we have raised just over $700.00 for the families in Iowa. Help us #giveback and order Today!!! Also, help us spread the word by sharing this post from our Instagram and Facebook pages. Support For Iowa – We Are One! Blue Line Family, we need your help!! 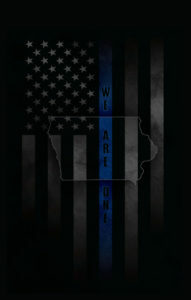 Please join us in helping our fallen brother’s families with this Iowa Edition of our new “We Are One” t-shirt. 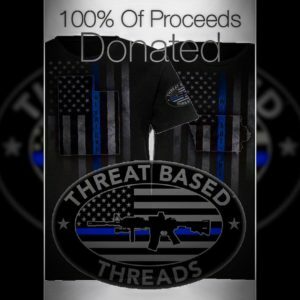 100% of the proceeds will be donated to the families of the fallen Iowa officers affected by the tragic shootings on November 2, 2016. This black T-shirt features the state of Iowa on our new “We Are One” design with our Threat Based Threads logo on the left sleeve. 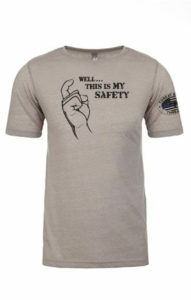 Printed on a high quality Next Level 60/40 Poly-Cotton blended t-shirt that creates a soft and comfortable slim-fit. We are taking Pre-Orders for a LIMITED TIME, now through November 30, 2016. 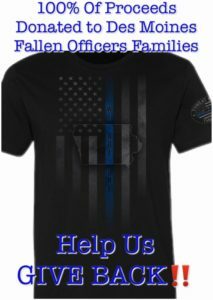 Please help us Give Back to our blue line family and show your support with this Iowa – We Are One t-shirt! Our mission is to take care of our own, and we can’t do it without all of you. Click the shirt to order yours for $24.95!!! Spread the word, LIMITED TIME ONLY – NOW through November 30th!!! Stay Safe Blue Line Family. And thank you in advance for your support. Shipping Note: This item is currently Pre-Order through 11/30/16, a notice will be sent when the item ships. We Are One with Iowa!! Order Timete Nos Firefighter Edition Now! Our new Timete Nos “Fear Us” Firefighter Edition T-shirt is available for ORDER NOW! 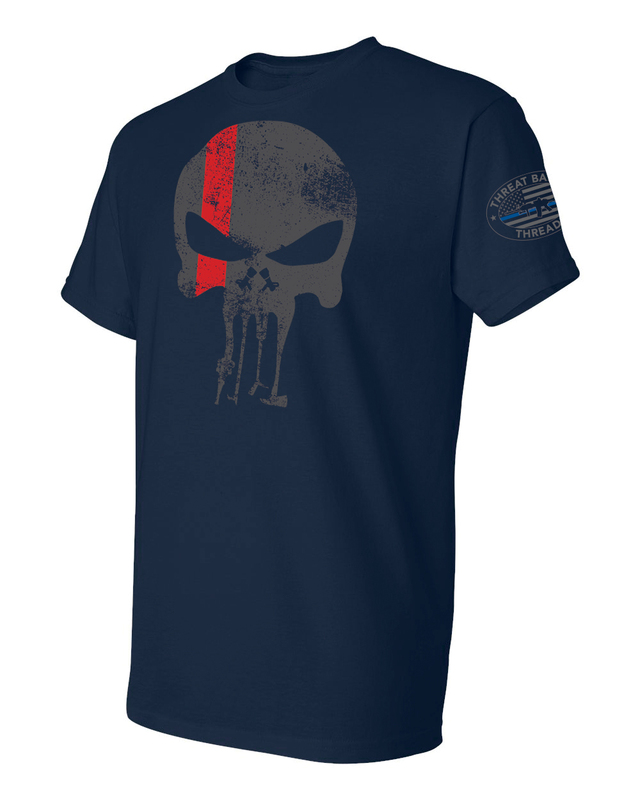 This t-shirt is printed on navy blue and features the Timete Nos skull on the front with a hose & nozzle as well as other firefighter tools for the teeth and nozzles for the nostrils. Order yours today! !